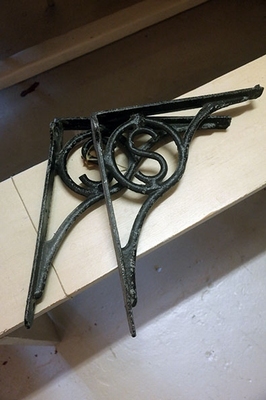 A very nice pair of wrought iron shelf brackets, measure 29 cms deep and 32 cms tall. 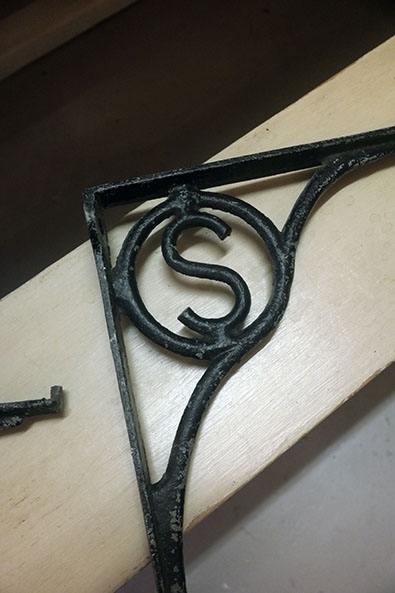 Nice design with the letter 'S' in wrought iron. Will fit a shelf 28,5 cms deep. In very good condition, original (worn) paint.